This is luxury river cruising with one of the most all-inclusive programs imaginable, with everything included from impeccably prepared cuisine and unlimited beverages--fine wines, beer, and spirits, plus soft drinks and bottled water--to Signature Lectures and guided shore excursions, complimentary Wi-Fi access, airport transfers, and all onboard and onshore gratuities. Whew! A culturally authentic experience awaits you aboard the luxury river vessels of Uniworld. You'll enjoy fastidious, top-rated service from professionally trained, all-English-speaking staff, along with a generous all-inclusive policy that includes unlimited beverages (fine wines, spirits, specialty coffees, and more), impeccably prepared meals, shore excursions, all onboard and onshore gratuities, and more. You'll find that each exquisitely appointed ship is a work of art that reflects the region it cruises, from Europe and Russia to China and Vietnam/Cambodia. Enjoy effortless travel as you glide from one fascinating port to the next, soaking up the sights as you are waited on by an attentive and discreet staff. 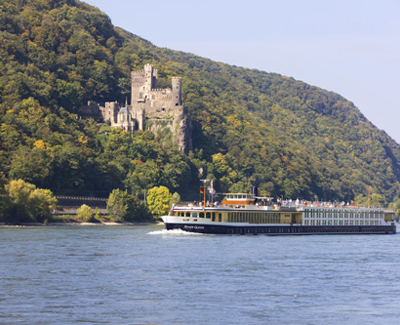 Whether cruising along the classic rivers of Europe--the Danube, Moselle, Rhine, Seine, and others--or voyaging along the more exotic rivers of Russia, China, and Vietnam/Cambodia, you'll be treated to beautifully designed ships with lavishly outfitted staterooms and luxurious extras like marble bathrooms, towel warmers, plush robes, and top-end toiletries. On deck, you'll find facilities like a well-stocked library, specialty coffee and tea bars, a fitness center, lounges, and even a heated swimming pool. Come aboard and discover all the wonderful touches that make a Uniworld river cruise something extra special.